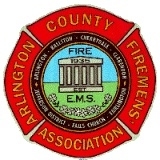 Established in 1935, the Arlington County Fire and Rescue Association (ACFRA) is the volunteer component of the Arlington County fire and rescue services. In support of the career firefighters of Arlington County, we provide supplementary fire and rescue support to our community. INTERESTED IN LEARNING MORE OR JOINING?